ItemB-08991 - HMS Wild Swan at Victoria. ItemC-07954 - "Bloody Sunday"; Helena Gutteridge, the first female elected to Vancouver city council, addressing post office riot demonstrators in Vancouver. ItemB-09339 - "Northland Echo, No. 3, length 138', Athabasca River, 1923." ItemB-09340 - "Grahame, No. 1, length, 110 fet, 1883, Athabasca River." ItemB-09598 - The SS Gleaner at Atlin. Item B-08991 - HMS Wild Swan at Victoria. 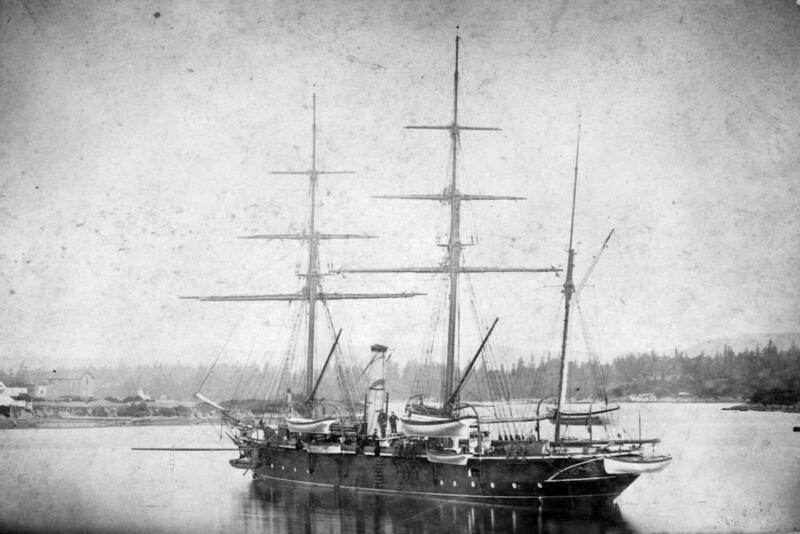 HMS Wild Swan at Victoria.